Bass some but love to off shore fish. Was fortunate and blessed to get a shot at this deer opening afternoon. Opening day success. 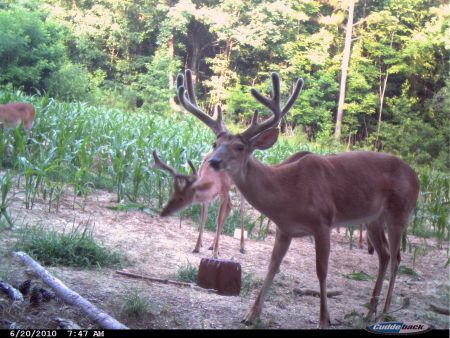 Was able to get an arrow in this deer opening afternoon. This will be the first year in several that I will not be traveling out of state on a hunt but at least I have something nice to chase around here. Well, we are still after a large 8 pointer but she decided to add to the freezer. She made a perfect 18 yard shot with complete pass through. Deer only made it about 50 yards. Very proud to say the least. This is her third deer in the last two seasons with a bow. Well, we are still after a large 8 pointer but she decided to add to the freezer. She made a perfect 18 yard shot with complete pass through. Deer only made it about 50 yards. Very proud to say the least. My daughter and I almost pulled out a double on Wednesday. 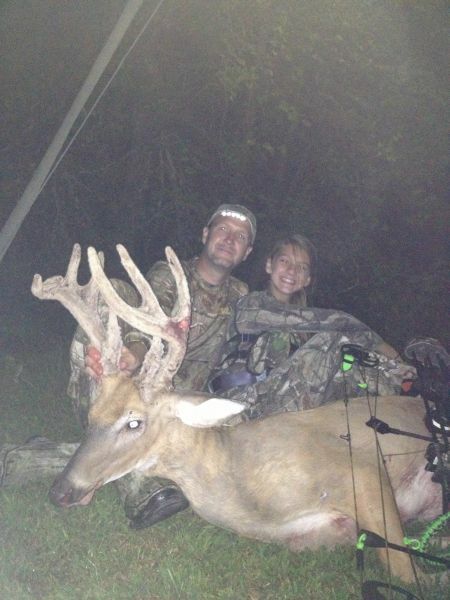 I took this tall 9 pointer at 39 yards(a little too far for her to shoot) around 7pm. We then sat back to see if we could get her a shot before dark. As luck would have it a larger 8 pointer showed up just before we lost legal shooting light. It was a swing and a miss for her but we still enjoyed our evening as she helped me clean and process the one we were lucky enough to take. I am taking her back today to try again. Hope everyone has good luck and hopefully we will be posting hers soon. 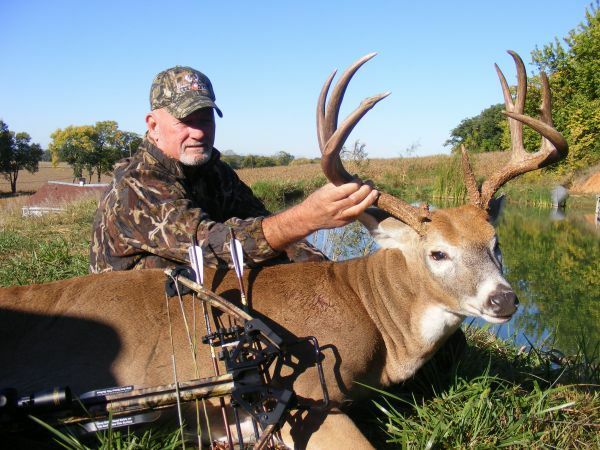 Enclosed is a picture of my Dad's 1st Archery buck. 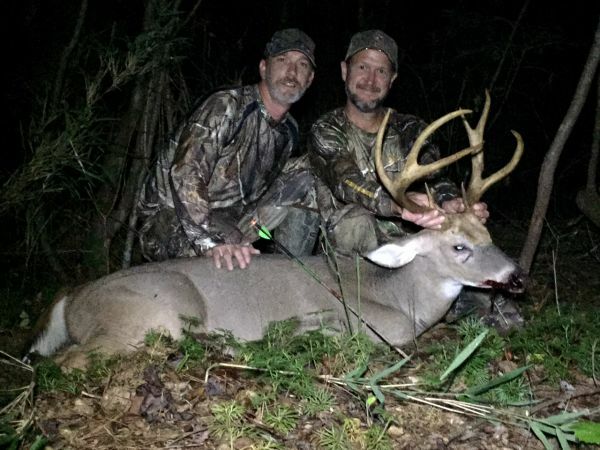 The buck was harvested in Pike County, Ill. with a crossbow. This was my second year putting this self guided hunt together and wow what an area for trophy deer. My best friend killed a 208 non typical with me last year. Would love to see how this turned out. A hawk dive bombing a crow. 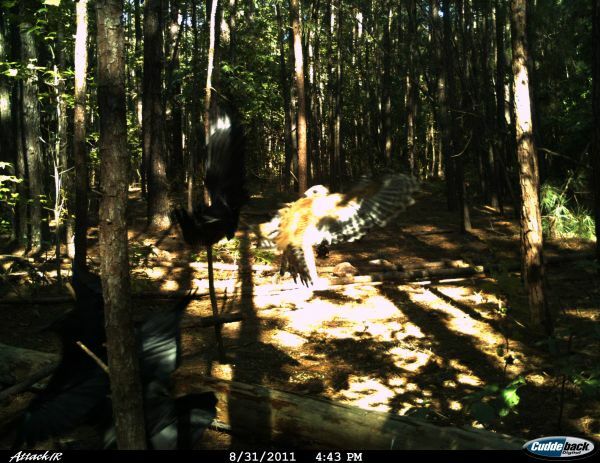 My money is on the Hawk. Yours? 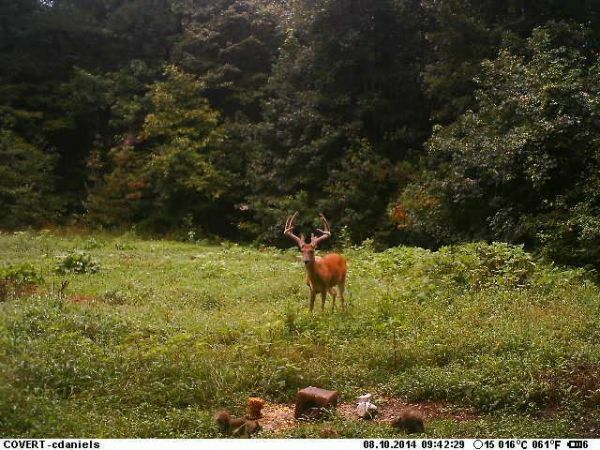 Got another one hooked on the sport of bowhunting. 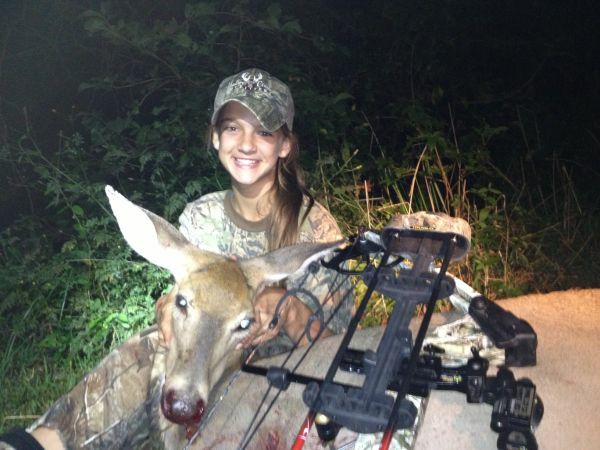 This is my daughters 1st archery buck. I got it on video to boot... She made a great broudside 18 yrd shot and he only made it about 60 yrds. Her excitement was priceless. 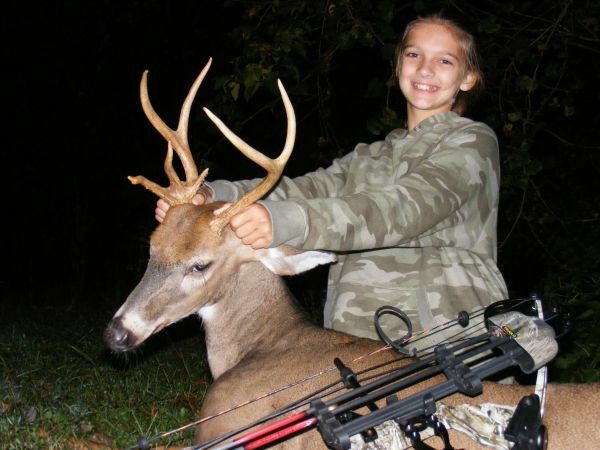 Enclosed is a picture of my daughters (10 years old) 1st archery buck. She is now officially hooked. I got it on video to boot.. The buck came in at 600pm on Saturday 10-9-11 and she made a great 18yrd shot and he only made it about 60yrds. She is shooting the Mathews Craze bow and rage 40ke 2 blade broadheads. Yes. I forgot my password and re-registered under daddyrabbit594. Very pleased with the performance. It is a great shooting bow when properly tuned. She is shooting the Mathews Craze at 40 lbs. She has been practicing since the dixie deer classic last year where we bought her bow. She walks in the house gets her bow and says she is going to shoot. She is actually a really good shot out to 25 yards. 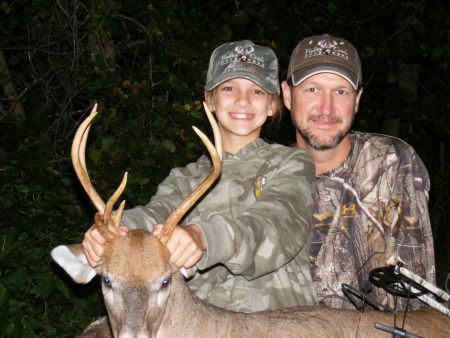 Father of two daughters (10 and 13) Both have hunted and my youngest has flipped over bow hunting. Cool to see their excitement after a good sit.